The kitchen being the heart and soul of the home requires a lot more thought and planning then some realise. The 12 fresh kitchen features included in this homify article are sure to inspire your home decor with elegance and modernity. 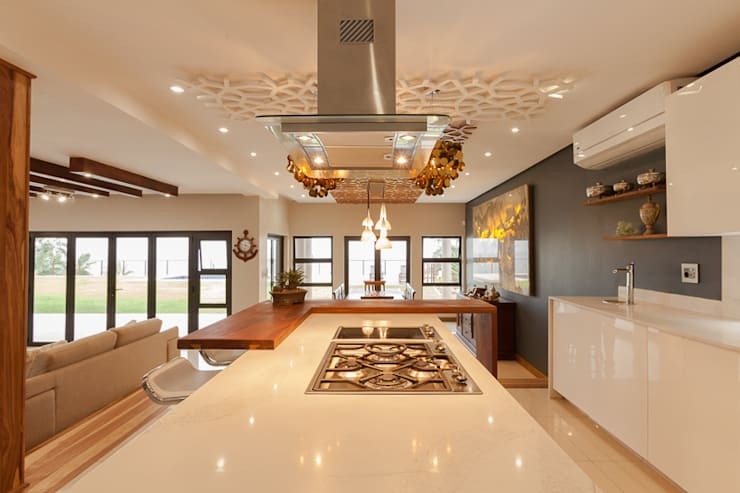 Let's take a look to catch up on some awesome modern tips and tricks to upgrade your kitchen, especially with South African living in mind! 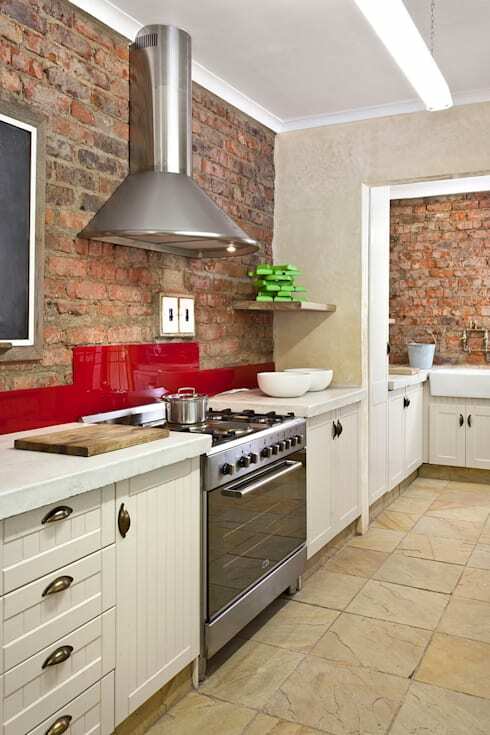 Or perhaps go for the cherry hue and keep your kitchen a clean, uncluttered, contemporary design. 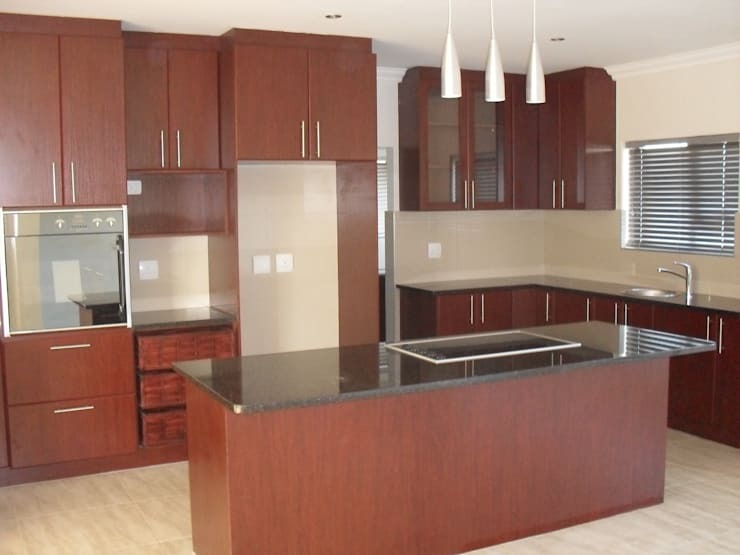 There's nothing more sleek and sophisticated to update your kitchen than dark wooden cabinets. 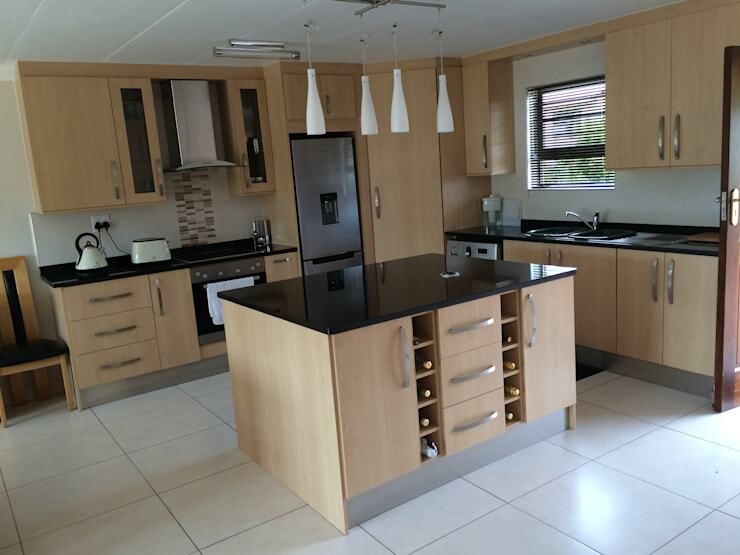 Remember that an open plan living, dining and kitchen needs to have similar colours and details to make it look like one perfectly designed open space. 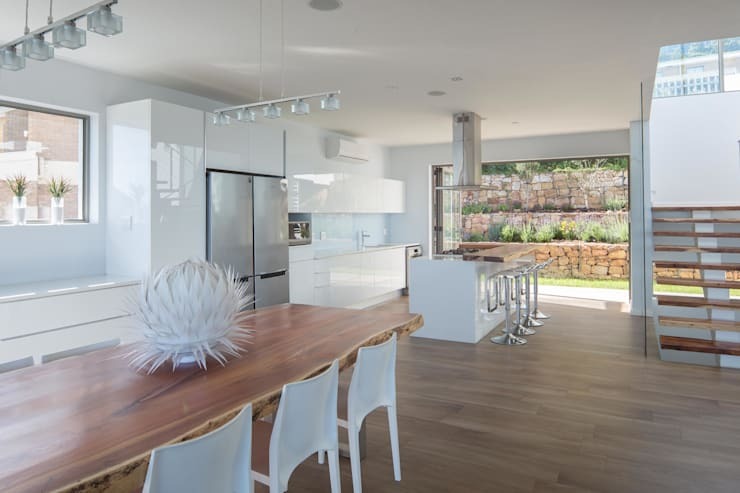 This all-white design with light wooden features is simply stunning. 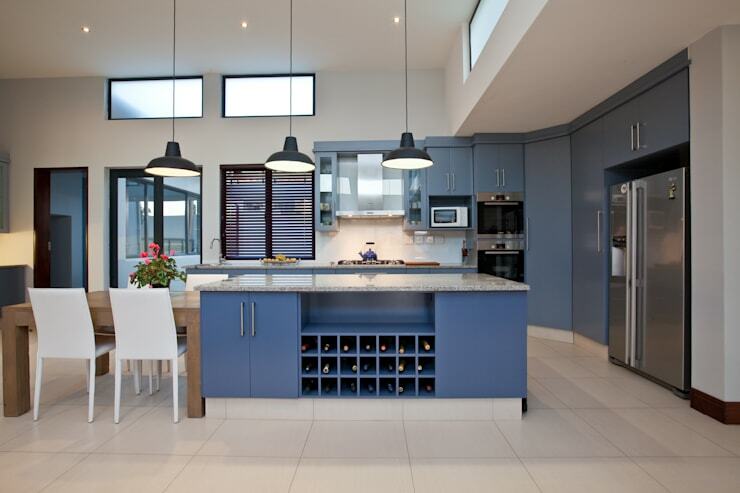 Be bold and different and decorate your kitchen with colour. This one has some lovely eclectic elements making up the clever detail. Don't plaster over that exposed brick wall just yet, it could be a sublime rustic decor aspect, perfect for a kitchen with personality. A light wooden kitchen with plenty of storage and minimalist design is a timeless choice that won't need upgrading any time soon. 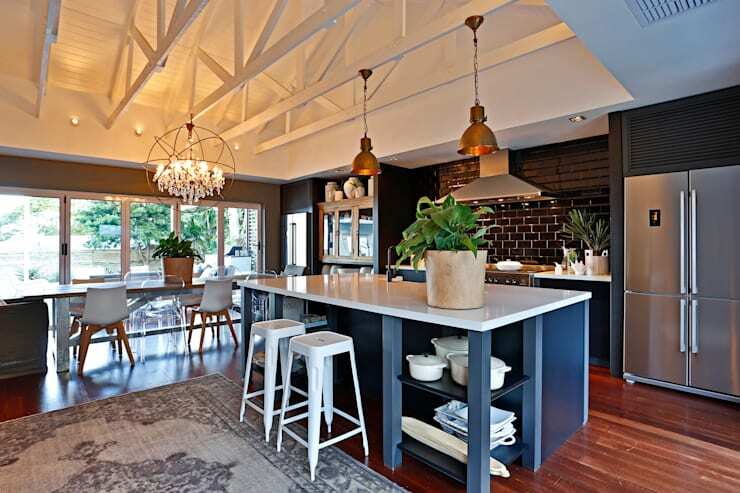 Don't forget to incorporate some brilliant illumination to get your kitchen cosy and attractive from all perspectives. If you prefer things that are out of the ordinary, then this fascinating and colourful design may just be perfect for you. You can include some vintage features reminiscent of grandma's kitchen to make your home a lot more comfy. 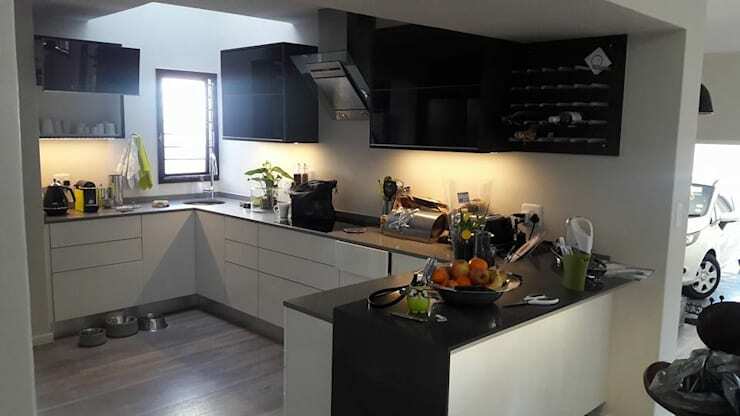 Black and white is another kitchen combination that you can't go wrong with, especially for a minimalist home that is trendy and fashion forward. 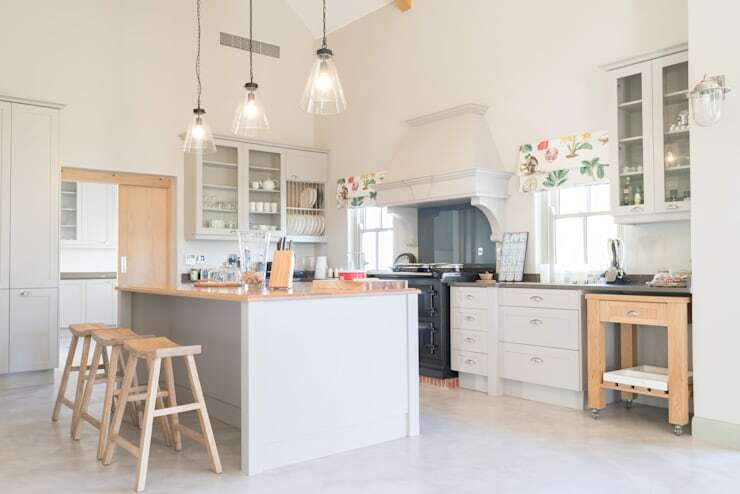 The final kitchen we visit has an attractive and quirky design, but if that floats your boat then this is perfect for you. 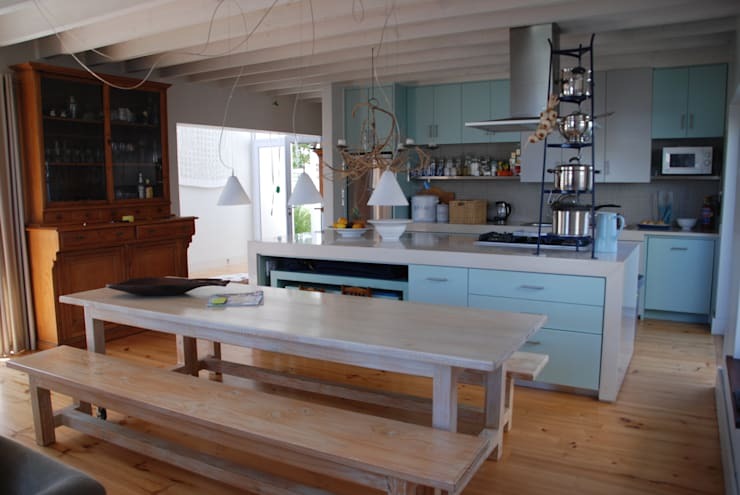 How about these New this week: 11 fresh South African kitchens to copy? 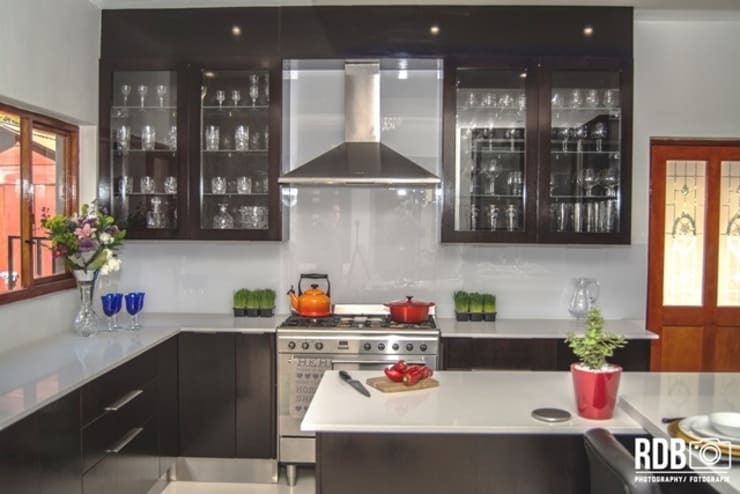 What did you think about these kitchens?